The basis of Alphabiotics is our body's reaction to stress. Over millions of years of evolution, we developed a means of dealing with stress call the Fight or Flight Mechanism. This mechanism is an amazing and intricate system that allowed us to live through crisis situations. Whether we were fighting a war or running away from a bear, this reaction helped to keep us alive. Fight or Flight can be called a full-body transformation specifically designed for short-term emergencies. Our entire system becomes focused on survival. All of our body's resources are directed to what would be immediately necessary to live through the crisis at hand. Here's the problem. Today's stressors rarely involve these types of crisis situations, yet to this day, 'Fight or Flight' is still our only means of dealing with stress. Because the stress we experience today is more likely to involve work, finances, and interpersonal relationships (not bears), 'Fight or Flight' is not an appropriate response. So here's what happens. Our bodies become locked in this inappropriate, outer-reactive stress state. Our systems stay geared towards surviving rather than thriving. Over the long term, This energy drain affects us in a variety of ways, and takes it's toll on many of our bodily systems. On the other hand, when we release this 'fight or flight' emergency standby mode, our systems can return to functioning to their best capacity. Our internal resources can now be utilized for our highest and best good - mentally, physically, and emotionally. 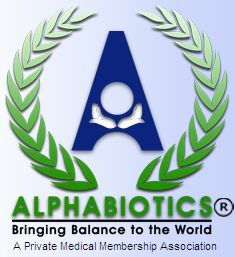 This is what Alphabiotics is all about!